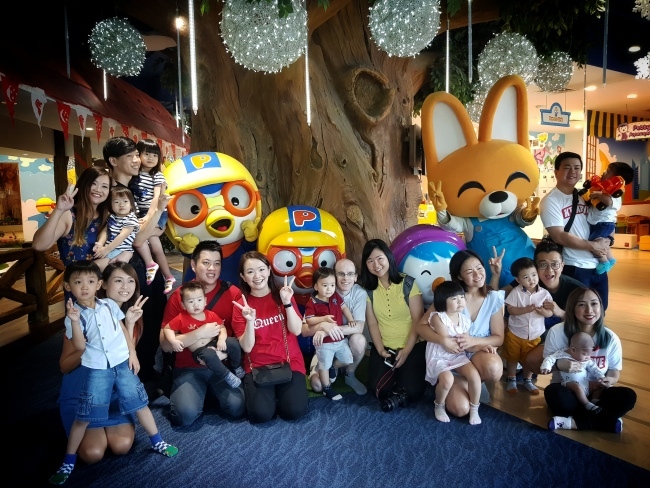 Pororo Park Singapore~ It is Little Travis's FIRST time in an Indoor Playground! 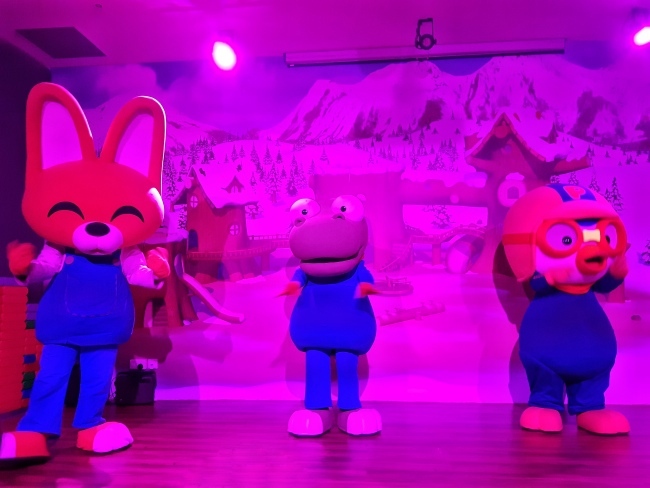 He was having so much Fun! 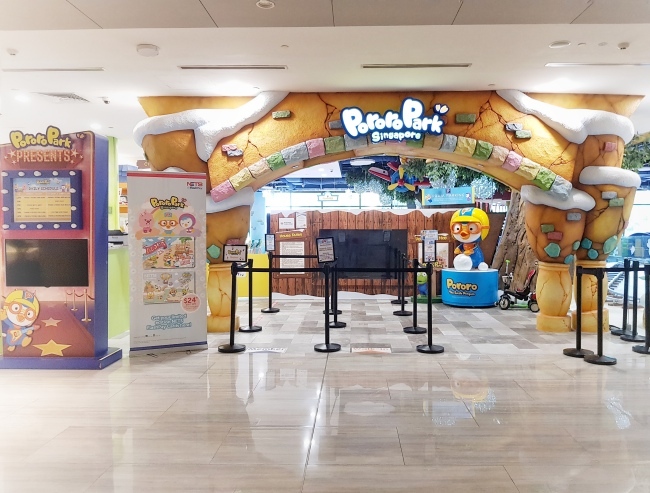 Pororo Park Singapore is a 11,000 square feet play and educational indoor playground at Marina Square. 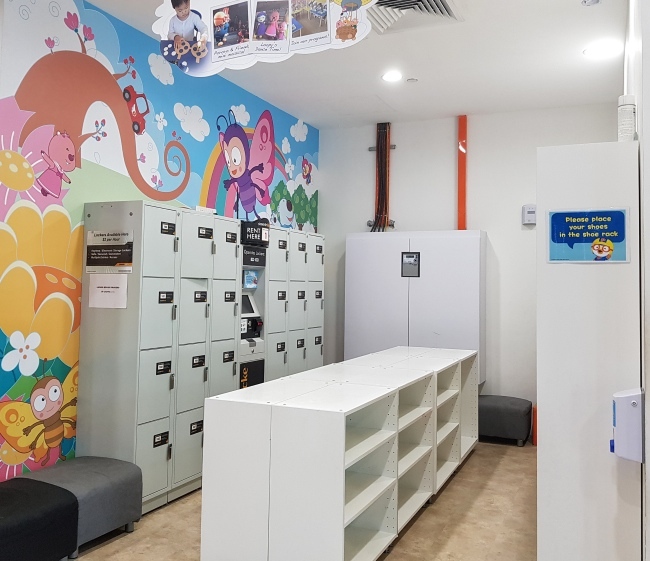 Easily accessible by 3 MRT Stations (City Hall/ Esplanade/ Promenade MRT)! 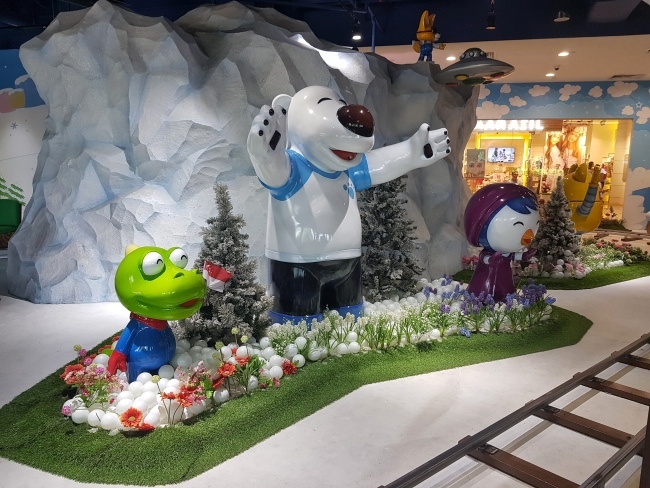 The park is themed after the award-winning top Korean animation ‘Pororo the Little Penguin’. 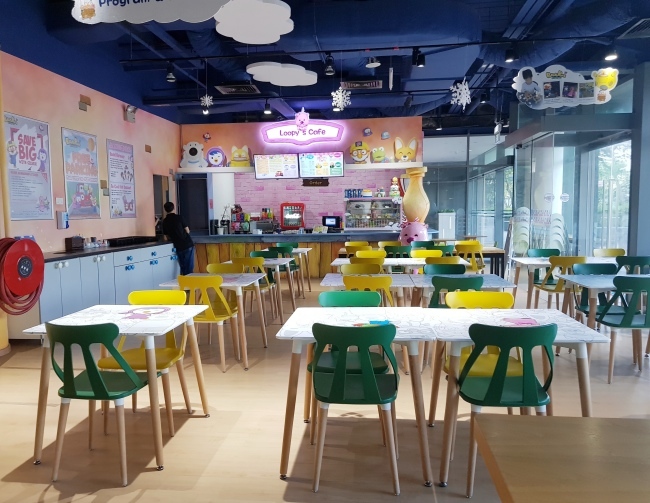 It was first opened 5 years ago in Seoul. 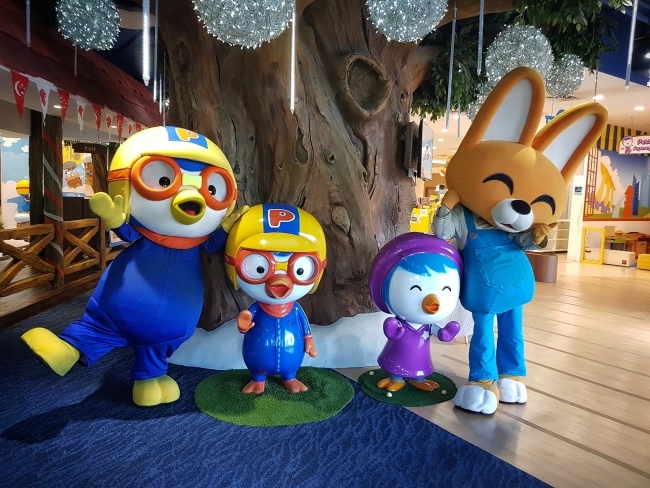 The Pororo Park features an indoor playground with educational and entertainment elements. 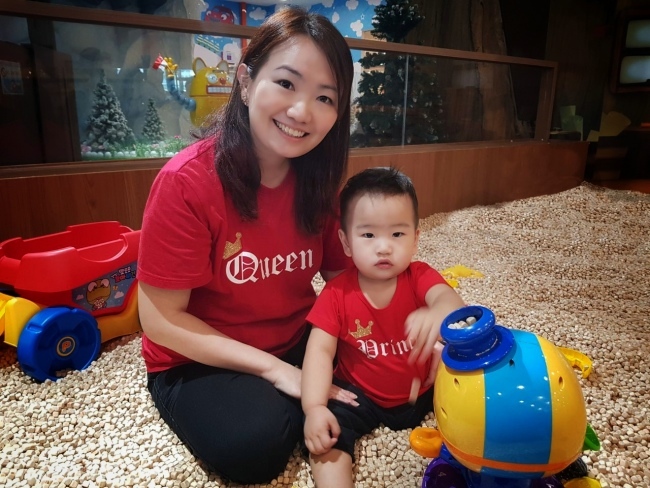 I like their concept that children learn skills through a play approach. These days, life in Singapore is so competitive. However, I do not want Travis to be overly focus on learning new skills. 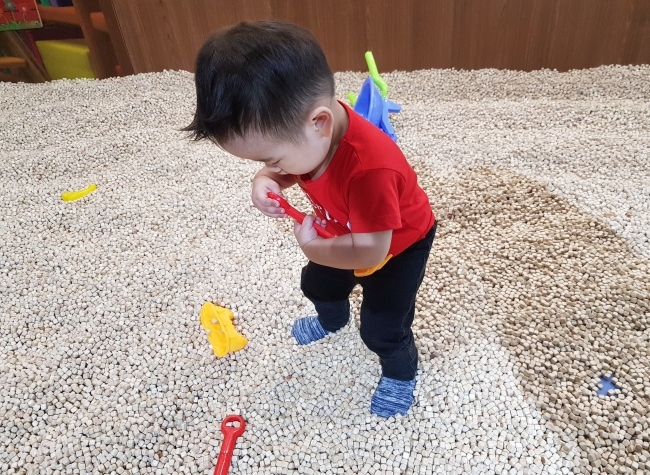 I want him to enjoy his childhood. 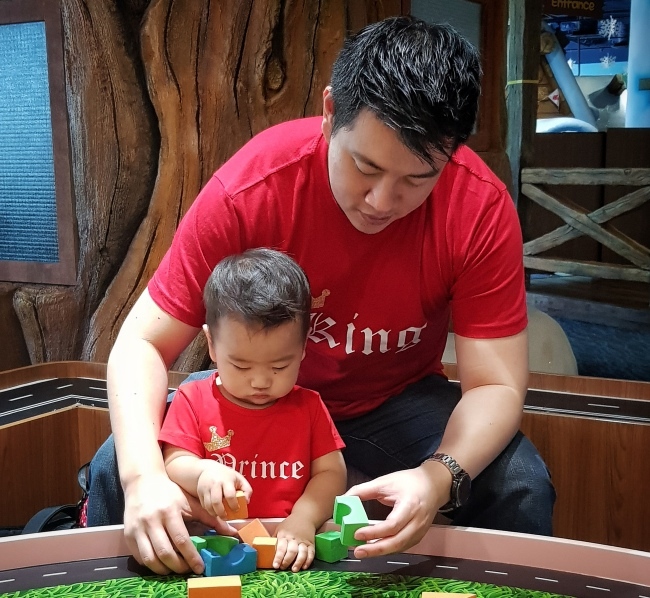 I guess it is a good approach that he play and learn at the same time! 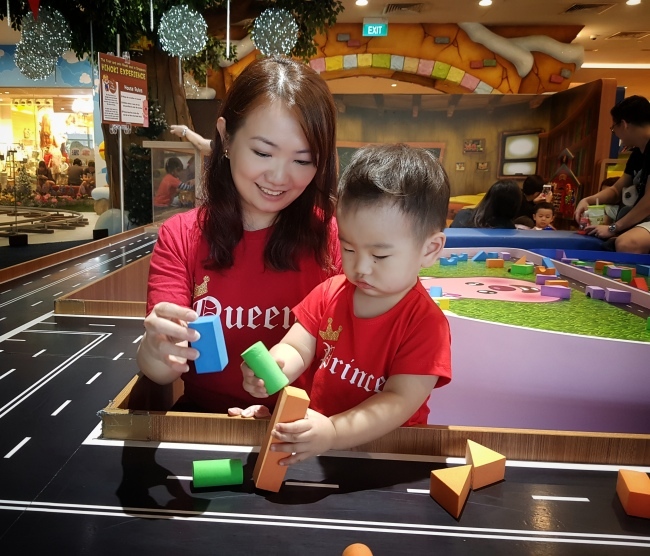 It is a great time for parents to have fun with their kids too! 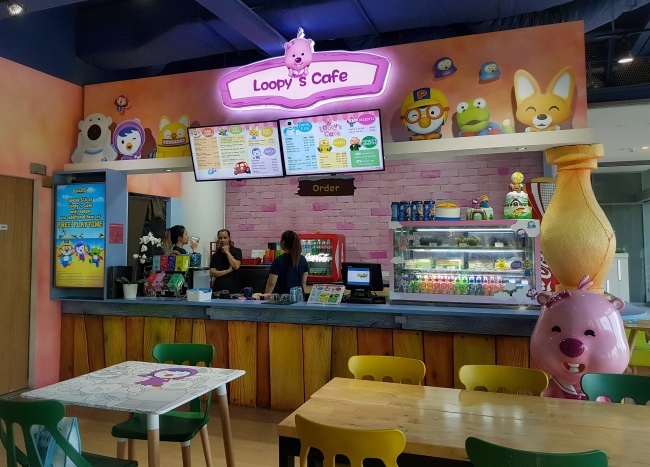 Alternatively, the parents can also chill at their Loopy's cafe while the kids can have their own fun! 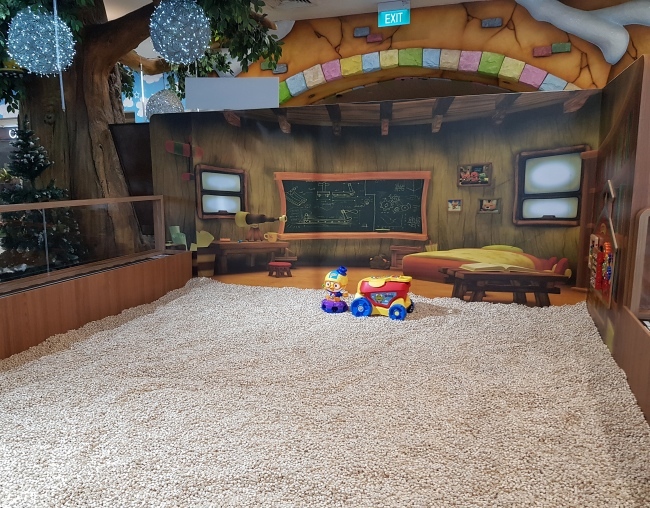 With Pororo Park’s Playing And Learning Skills (PALS), every child is exposed to a variety of ‘fun learning’ edutainment programmes. 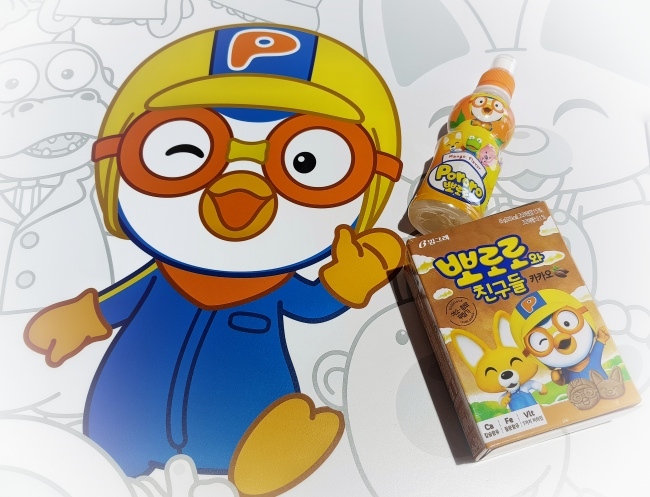 Each character in Pororo Park has a key strength which represents different life values. 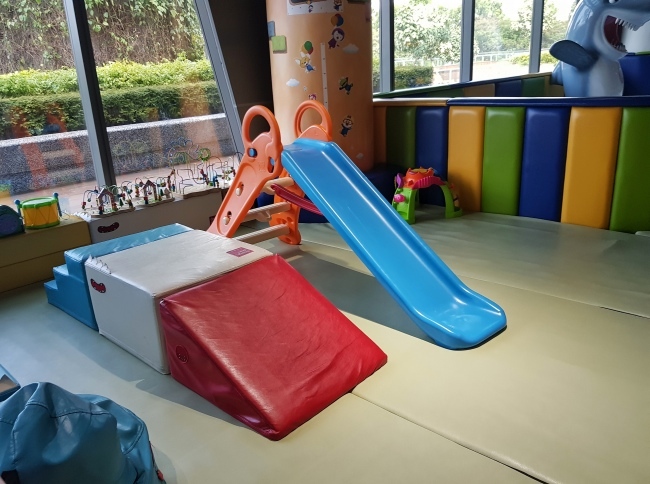 It is a place where children can have fun learning. 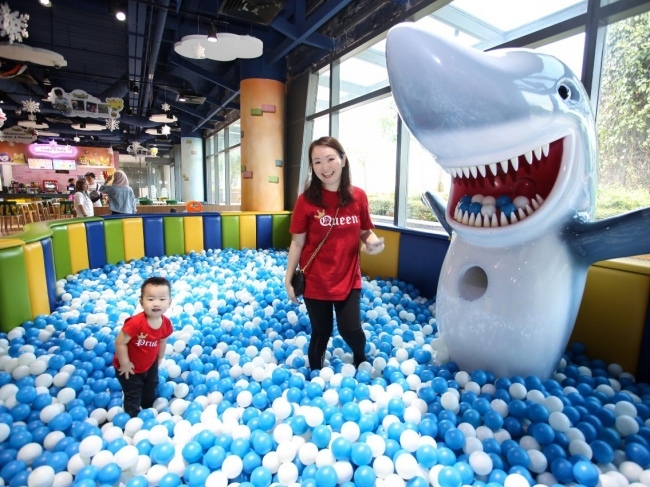 The attractions include Pororo Express, Shark Ball Pool and Poby's Play gym. 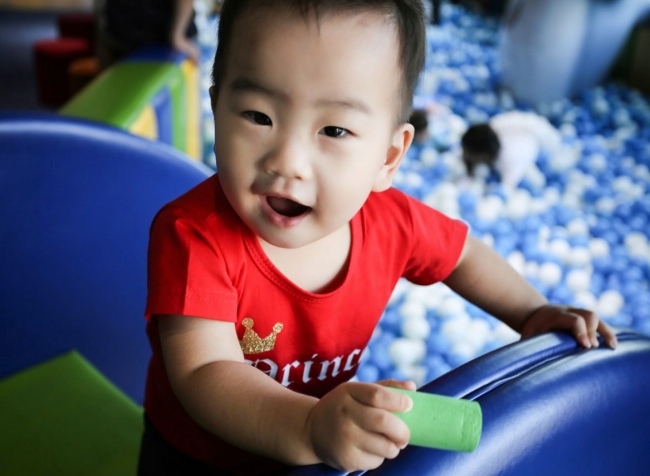 Indoor Playground Socks Policy: Socks are required for all visitors, including accompanying adults. Check out the pictures to see the fun we had! 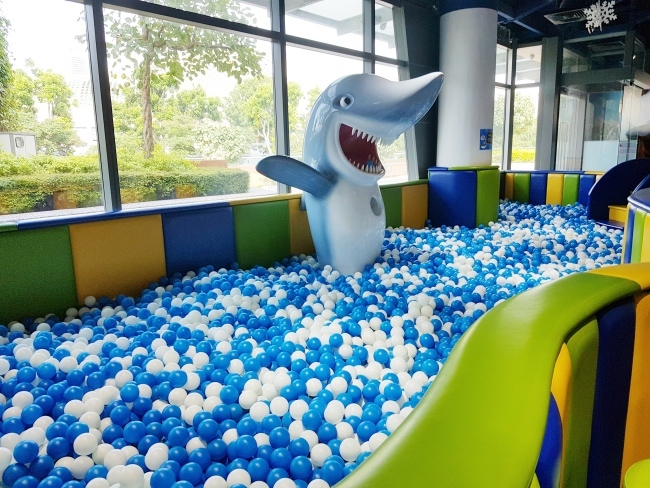 Little Travis love the Shark Ball Pool the most. We spent hours there! 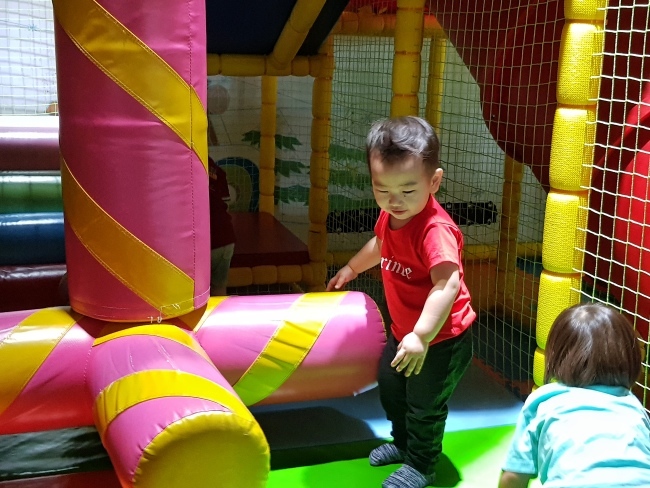 Glad to see he enjoy so much! 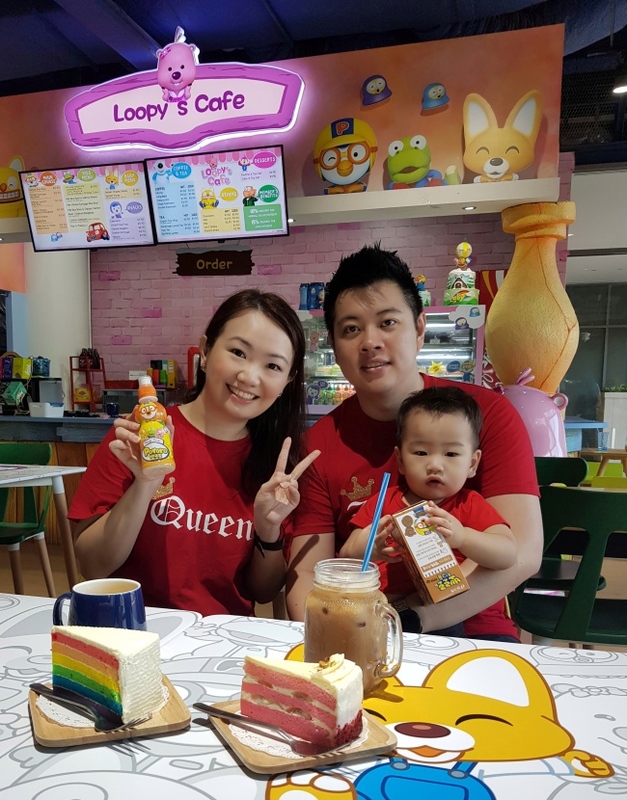 We had lunch at their Loopy's Cafe. 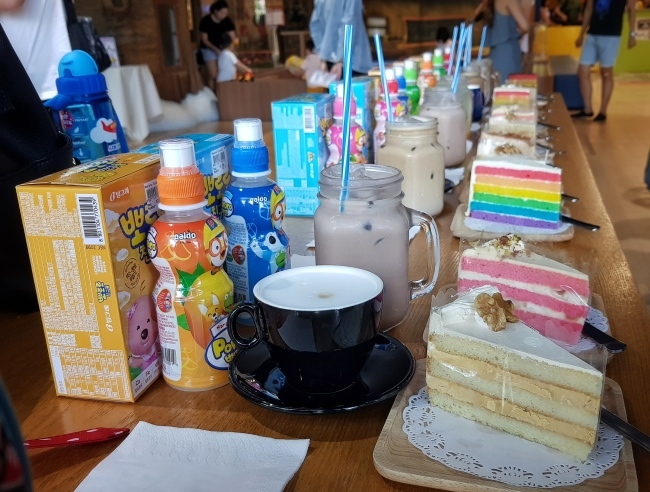 The cafe is a good place to chill for parents while the kids are having their fun too! 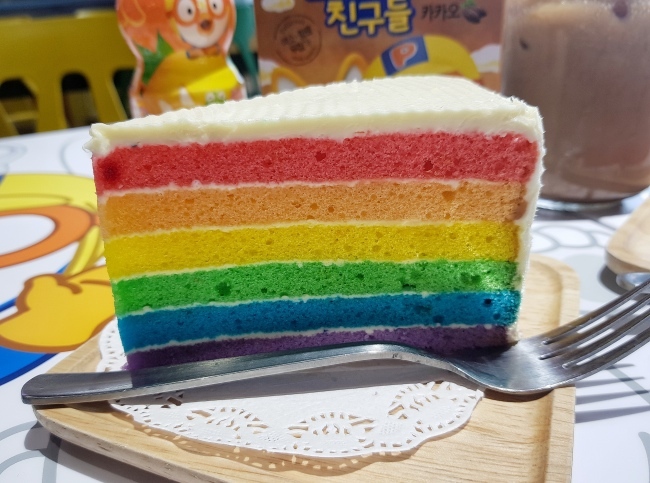 The cakes were so pretty! 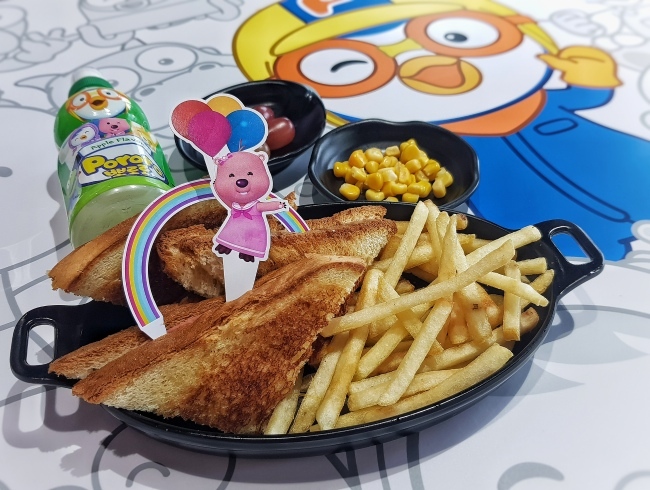 Adorable Loopy's Ham and Cheese Sandwich served with Shoestring Fries, Grapes and Sweet CORN from the Loopy's Cafe. 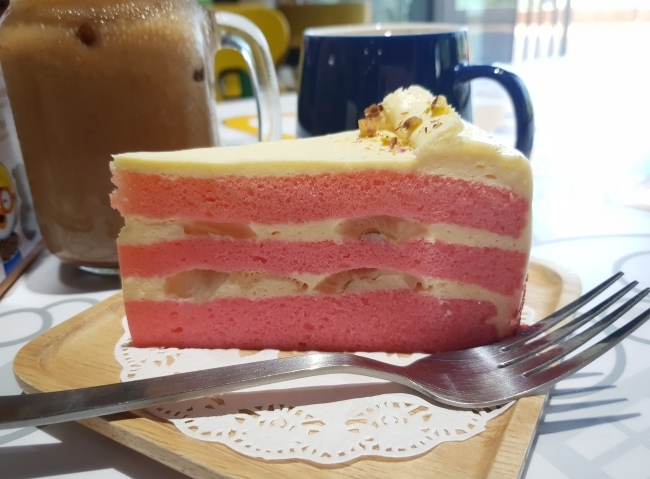 S$11.90. 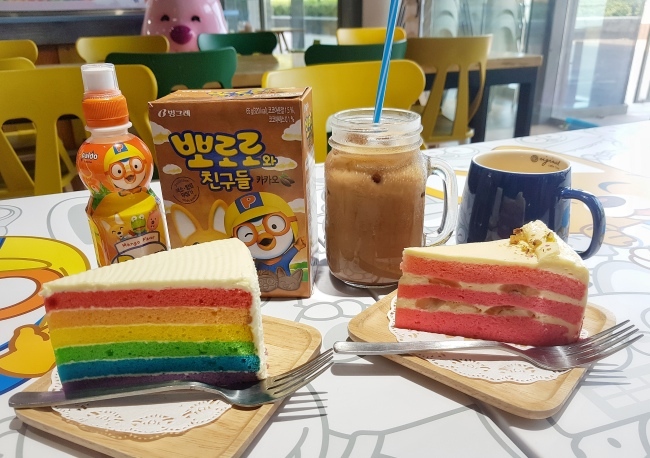 I also can't resist and share the kid's meal. I enjoy the hot cheesy sandwich too! Travis love the grapes and sweet corn too! Above information is for reference only. 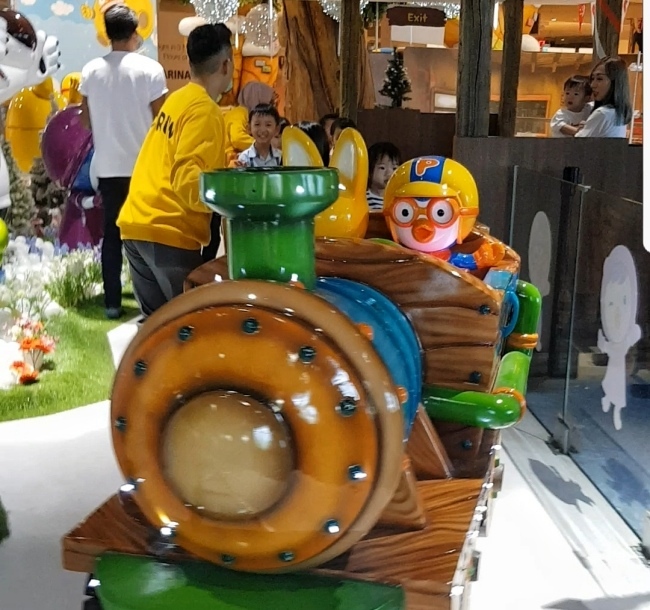 Hop on to Pororo Park Singapore for more information.